You don't have time to mess around. You need reliable manufacturing for your projects. Our manufacturing team at Anderson Industries takes pride in assembling quality products for you. We are dedicated to provide you with exceptional service. We manage your project & take care everything. We will help you in all the steps of your project to ensure you get the best. We understand that your project needs to be efficient, timely and accurate. To help you accomplish this, we utilize the latest technology available such as SAP production management software to meet your expedited requests, and advanced CADD software to take your idea and turn it into a great product. There is no room for error when manufacturing your product. With our complete process quality control, our team goes to great lengths to make sure your product is manufactured to your exact specs. Expect greatness. From low volume to high volume production and everything in between, our flexible team can quickly meet your needs with manufacturing including a wide variety of specialty services. Whatever shape you need, we can cut it. 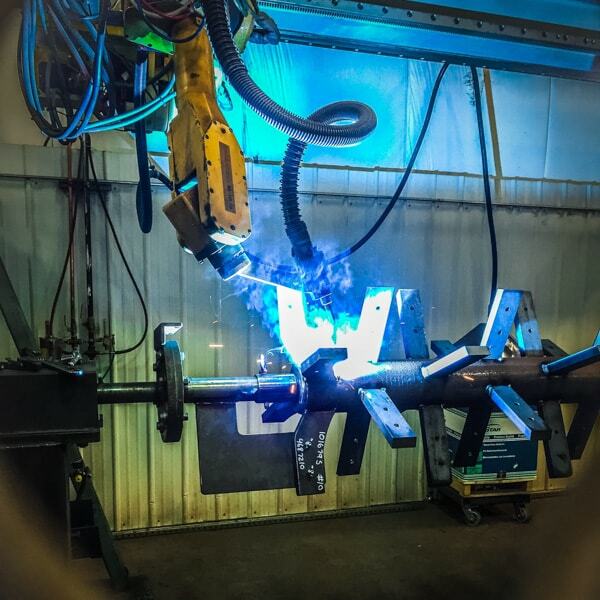 Our plasma cutters are capable of cutting up to 2 inches of solid steel, while our lasers with automatic plate loading systems cut up to 3/4 inch. The automated process lets us cut several shapes out of a single sheet of steel with pinpoint accuracy and a high level of efficiency. Clean cuts and multiple shapes from a single sheet reduce labor and increase workflow productivity. 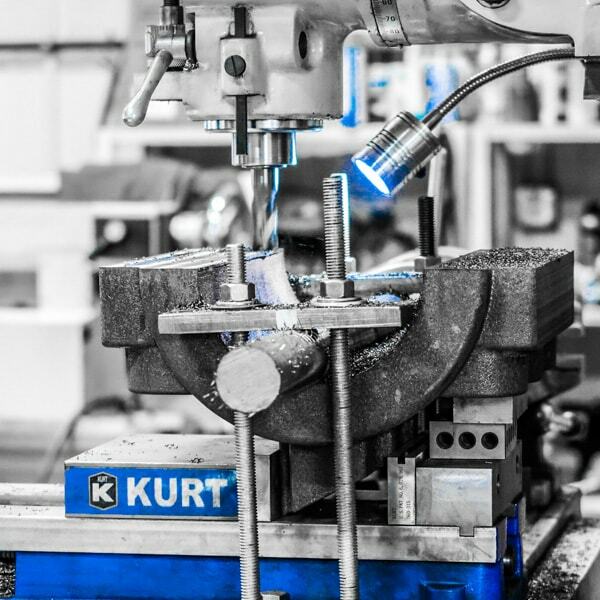 For your high volume and integral weldments, we utilize our robotic welders. Our welding team works with a wide variety of weldment configurations from small parts to large integrated structures. 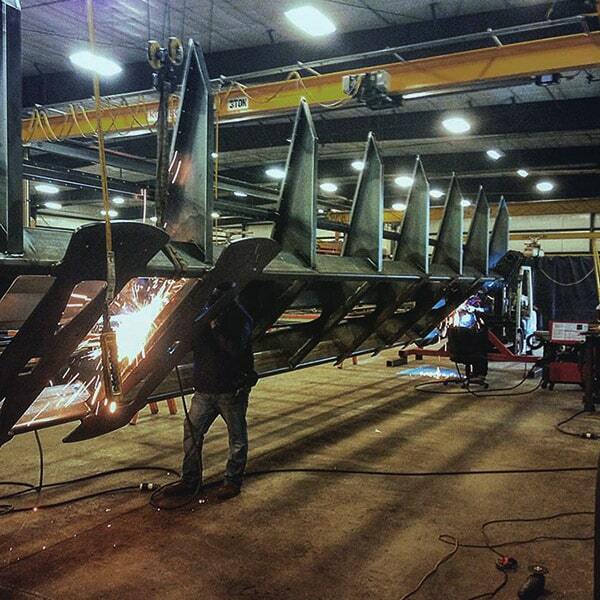 From the simplest to the most dynamic, our team sets the standard of welding excellence. 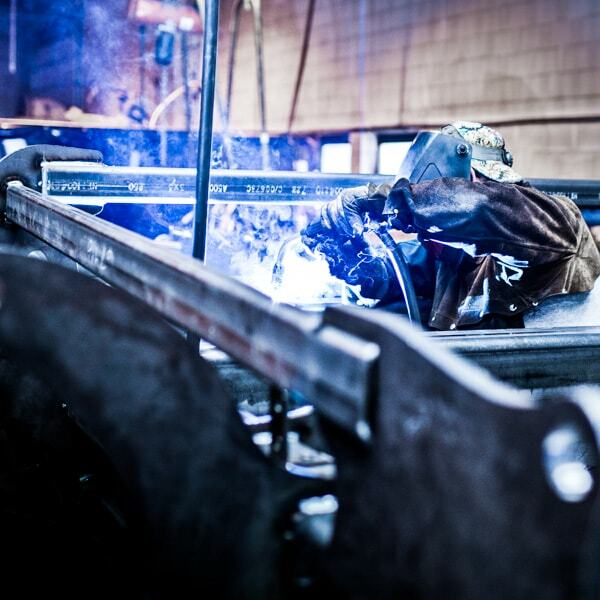 Our welding capacities include steel, stainless and aluminum. Our CNC lathes set up with automatic bar-feeders are capable of producing many specialized turned parts. Using this technology lets us produce at high speeds while maintaining extreme accuracy. Anderson Industries uses 3D machining and CNC milling for better control, tighter details and more efficient production. Our machining capabilities let us choose from an extensive amount of tooling options to manufacture a wide array of products. 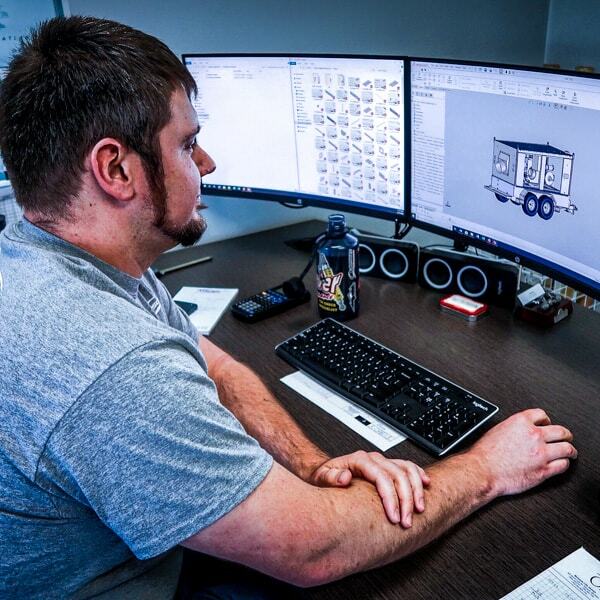 Equipment, efficiency and ease let us produce your designs in mass with a faster turnaround. Anderson Industries utilizes CNC press brakes and a variety of tooling to meet your needs. We give your product a resilient finish with our fully automated powder coating line. to support innovative manufacturing companies leading the way with new products. HOW CAN WE HELP YOU MANUFACTURE?